The Friesen Memorial Plaque | Friends of the Longmont Senior Center, Inc. 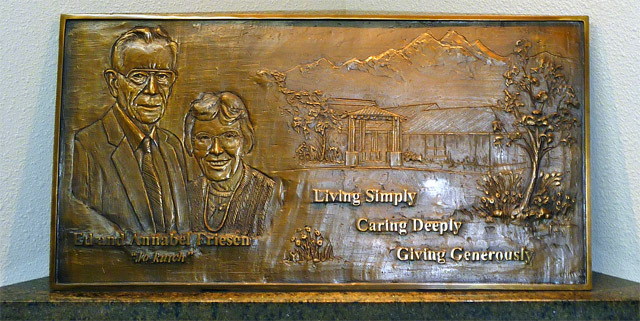 This plaque is in recognition of the first significant financial contribution made to the Friends of the Longmont Senior Center by Ed and Annabel Friesen. We are privileged to have this opportunity to provide this expression of our gratitude.